Legendary actor and director Gerard Depardieu will be a guest at the 53rd Antalya Film Festival, which will bring together international artists from the world of cinema between Oct. 16 and Oct. 23. One of the most beloved actors of the silver screen, Gerard Depardieu is coming to the Antalya Film Festival. A prestigious guest of the 53rd International Antalya Film Festival, which will be organized by the Antalya Metropolitan Municipality between Sept. 16 and Sept. 23, Depardieu will present his acclaimed film "Tour de France," which was highly praised at the Cannes Film Festival, and will answer questions from the audience. 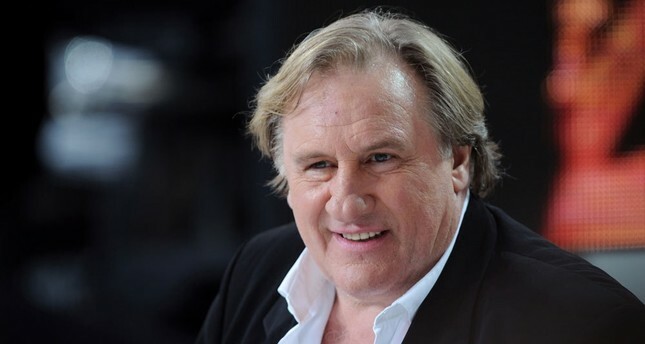 Depardieu has been a part of the motion picture industry for over 40 years, playing all kinds of characters in all the genres of the silver screen. Taking part in at least two movies each year since 1971, Depardieu has added his own interpretation to his characters. Successfully portraying all of them, especially historical figures despite his distinctive looks, the actor's unforgettable performances in this genre include Cyrano de Bergerac (Cyrano de Bergerac, 1990), Rodin (Camille Claudel, 1988), Christopher Columbus (1492: Conquest of Paradise, 1992), Porthos (The Man in The Iron Mask, 1998) and Rasputin (Rasputin, 2011). The legendary court scene in Danton (1983) which depicts Danton's struggle against his old friend Robespierre who was by his side when he founded the republic and turned into a dictator, which later results in the guillotine, is simply an acting lesson. Starting his acting career in a small theater on wheels, Depardieu took the leading role in Bertrand Blier's"Les Valseuses"(Going Places, 1971). From that day forward, he has portrayed different characters in all genres from drama to adventure and from comedy to historical films. He appeared in Italian, Russian, German and Central Asian movies in addition to French cinema. He portrayed beloved characters in blockbuster films as well as independent ones. A "director hunter" throughout his career, Depardieu collaborated with the well-known masters of the motion picture industry, such as Luis Bunuel, Alain Resnais, Alain Corneau, François Truffaut, Jean Luc Godard, Bernardo Bertolucci,Marguerite Duras,Andre Techine, François Ozon, Tony Gatlif, Ridley Scott, Claude Chabrol, Ettore Scola and Andrzej Wajda. After "Le Derniere Metro" (The Last Metro, 1980) directed by Truffaut was nominated for Best Foreign Film in both Oscars and Golden Globe Awards, it brought the Best Actor Cesar to Depardieu. He added Best Actor awards at the Venice Film Festival with "Police" (1985) also starring Sophie Marceau and at Golden Globe Awards with comedy film "Green Card" (1990) directed by Peter Weir, to his long list of awards. In time, the veteran actor's fellow actors including Marcello Mastrioanni, Jeremy Irons, John Malkovich, Alain Delon, Jean Paul Belmondo, Catherine Deneuve, Sophie Marceau, Monica Belluci, Juliette Binoche, Marisa Tomei, Sophia Loren, Klaus Maria Brandauer, Jacqueline Bisset, Isabelle Huppert, also became legends of world cinema one by one. However, Depardieu does not hesitate to work in short films or with directors shooting their directorial debuts and unrecognized actors. Featuring in blockbusters such as "102 Dalmatians" (2000), "Asterix & Obelix," "Vidocq"(2001), RRRrrr!!! "(2004), and Babylon A.D. (2008), Depardieu was recognized and loved by the masses of new generation viewers. Taking part behind the camera in addition to acting, Depardieu adapted Moliere's "Le Tartuffe" (1984) to the silver screen, and shot two films as the associate director. The veteran actor will also portray the historical figures such as Johann Sebastian Bach and Joseph Stalin in the near future.